Question: If an electrical system runs off an 120 volt 30 amp electrical current, can you run an extension cord from a 110 standard electrical outlet from the house to power some items without damage? You will need an adapter for your 30 amp cord so you can utilize a 110 volt 15 amp outlet from your home. A camping store can help you select the correct adapter. We have posted a couple pictures that show what these adapters look like. 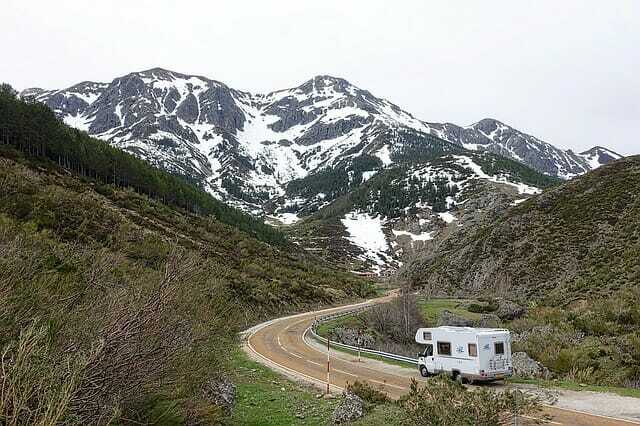 You will need to carefully manage your power usage from the RV side. In other words, since you will only have half the power capacity available you will not be able to run many things at the same time. We know you alluded to this in your inquiry, but it never hurts to repeat the obvious. You should try to find a house outlet that is not connected to other outlets (or if it is, then make sure that the other outlets are not providing power to some other appliance) or you may not have enough power left over for your RV. Also, be aware that if you have an onboard charger for your RV batteries, it might draw more than 15 amps just for the batteries. If you do have an onboard charger you might be able to limit its draw to a few amps. We have a Xantrex inverter/charger and we can program ours to limit the power draw to 5 amps. Hope that helps. Other input welcome. Question: I'm new to this and have no owner’s manual. How can I run electricity while driving? Do I need to run the generator to make coffee or so my kids can watch a DVD? Answer: If you have a generator, that will work to run appliances. If you also have an inverter that converts battery power to 110V, you could use your batteries as the power source. Typically, your batteries are being recharged while driving, although it depends on how your RV operating systems are set up. Note that if you try to use the inverter/batteries as the power source while stationary, you will quickly run down your batteries.